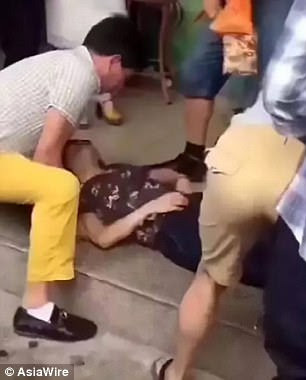 A tourist in China is reported to have fainted after accidentally breaking a jade bracelet worth 300,000 yuan (N14,000, 000). 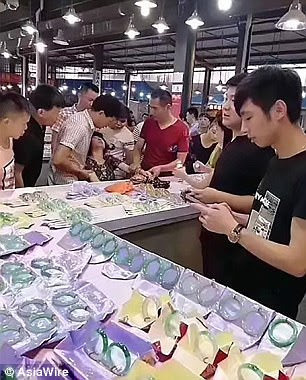 The woman was visiting a jade market in Ruili City, south western China's Yunnan province on June 27 when she accidentally dropped a bracelet while trying it on. Unfortunately for the woman, the jade bracelet snapped in half, reports the People's Daily Online. According to reports, the bracelet slipped out of her hand and it cracked in two after hitting the floor. 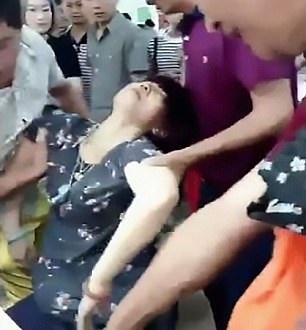 Footage shows the moment the woman faints upon learning the price of the bracelet. Jade is a luxury product in China and is seen to represent good health and a long life. Following the smash, the shop's owner told her that the bracelet was worth 300,000 yuan (拢34,000). She was reportedly so shocked that she passed out and had to be placed on the ground by family members in order to recover. According to witnesses, the family offered the seller 70,000 yuan (拢8,000) in damages however he refused saying that was not enough for them to break even.